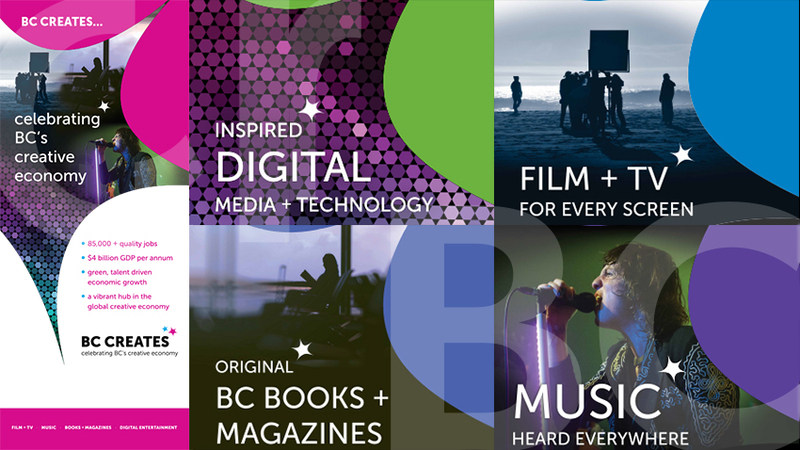 BC Creates is a collaborative communications initiative established to celebrate and tell the story of British Columbia’s vibrant creative industries. Our mission is to tell the stories about the individuals and companies propelling British Columbia’s economic and cultural future. Collectively, our province’s creative industries generate $5.2 billion in annual GDP and support 90,000 skilled jobs in BC, putting the province’s creative economy shoulder-to-shoulder with BC’s better known mining, agriculture and forestry sectors. BC’s creative industries are vital economic drivers powered by knowledge, talent, entrepreneurship, innovation & vision. These are true evergreen industries, energized by the people behind our favorite forms of entertainment and social communication. By working together to demonstrate the breadth of investment, achievement, reach and potential, the BC Creates team hopes to give the public a better understanding of what we’ve built, and the future potential of a strategically nurtured creative economy for both local and global audiences. Under the banner BC Creates, collaborators – from across film & television, digital media & technology, music, and magazine & book publishing, and the public and community sector partners we work with – are mobilizing communications that collectively demonstrate British Columbia’s proud history of creative excellence and our exciting future potential. BC Creates is a showcase for the province’s creative industries: the economic benefits & jobs; innovation & achievement; education & industry futures; community partnerships; global reach; and little known facts that demystify the creative industries in BC – in short, a collective of the economic, cultural and social contributions at the heart of BC’s creative economy. This is our opportunity to build a creative industries growth strategy in British Columbia that leads to an even more exciting and prosperous future for the BC’s creative economy. Whether you are directly employed in one of our creative industries, or a supporter of them, or simply interested in learning more, we welcome you to become a part of our community.